This ladies Tee -Bag measures 7 ½ x 6. Front zipper, with nickel plate swivel snap hook. 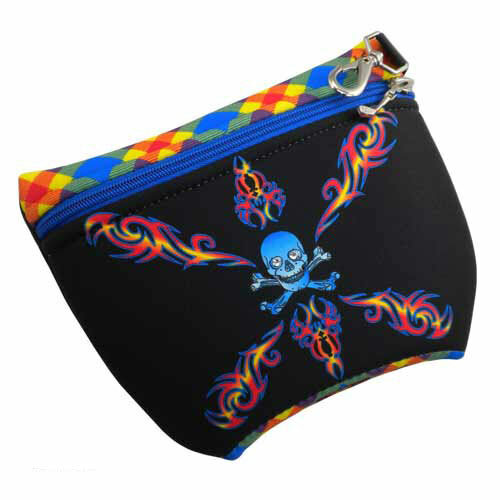 This beautiful Tee- Bag also doubles as cosmetic bag. These women’s Tee -Bags are made in the USA from an exclusive material developed by BeeJo, BeeJoPrene. Stretchable BeeJoPrene is durable, machine washable as well as fade resistant. BeeJoPrene’s vibrant colors will withstand the harshest of conditions. Coordinate this with matching Head Covers and Towels by BeeJo. .